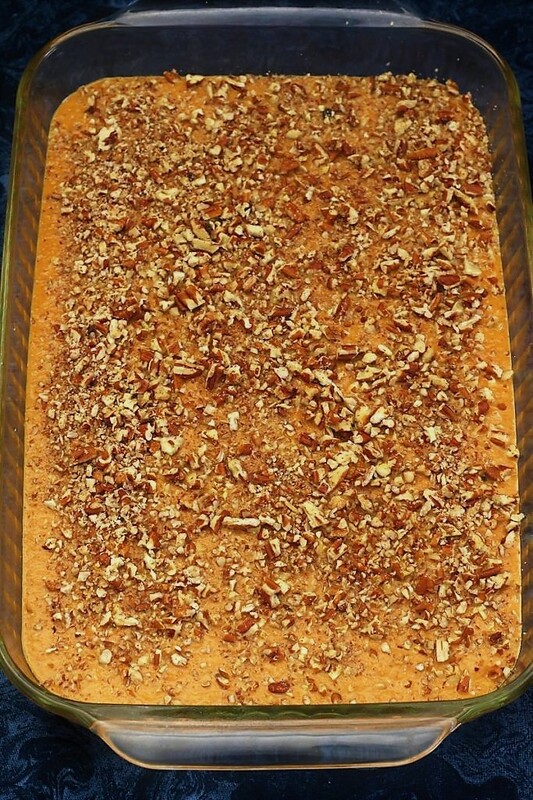 Pumpkin pie cake is a recipe that my mother use to make. It was one of her go to desserts. I guess that is where I learned to like pumpkin; from her. It is a delicious dessert and I always think about pumpkin pie cake when it starts to get colder outside and the trees start to change colors. My mom was a busy lady. My dad passed away when I was 16 years old and this made things hard on my mom. We grew up on a farm and one of my brothers dropped out of college to come home and run the farm. My mother had a job outside of the home, testing cows. Testing cows consists of measuring how many pounds of milk each cow gives and then testing how much butterfat each cow has in their milk. She would go to the barns around the community and test cows for the different dairy farmers. Sometimes the barns were warm, but a lot of the time the barns were cold in the fall and winter. I decided right away that I did not want to grow up and be the cow tester. I did however get to milk the cows on our farm. We had 35 cows and we did have automatic milkers. But let me tell you, they were nothing like the robotic dairies my son works on. Being a hair stylist and blogging are a lot warmer. Anyway my mom did not do a lot of cooking and when she did, my brothers would say who are you taking that cake to? We didn’t have very many treats growing up. However, I remember my mom would buy donuts that were on the clearance table. I now know that she didn’t have a lot of extra money and it was like finding gold when she was able to find donuts on the clearance table. Maybe that is why donuts just do not tempt me too much. Give me cookies, cakes, brownies or pie, and I will have a hard time resisting. Give me some donuts and they will never get eaten. I do have a son that does not feel the same way, I remember when he was 3 years old and he would say, ” mom, can I have a dome dome”? It was too hard for him to say donuts. And so that stuck around our home, we call donuts, dome domes. I must say that my mom was an amazing woman and a very hard worker. She worked until she couldn’t work any more. She was the oldest of 11 children and then she had 9 of her own. How she did it, I will never know. Even though she is gone now there isn’t a day goes by that I don’t think about her and appreciate all that she did for me. One thing that my parents did teach me is that hard work pays off. I am just glad that I do not have to work every day in a cold barn or outside. Again, I am most grateful for all of those who do. I do remember my mom making this pumpkin pie cake a few times. The other day when I made it, my kids said, I do not remember you making this cake before. I am not sure if I have or I haven’t, but they did love it. I think that when I think about a pumpkin dessert, I usually make pumpkin brownies with brown butter cream cheese frosting because I love the frosting so much. I do love pumpkin pie cake when it is warmed up and has a scoop of ice cream on top. The ice cream melts down over the cake and makes it even more gooey. Yum. Oh, ya, don’t forget to drizzle some caramel over the top. 1- Try and cover the dry cake the best you can with the melted butter and milk; if you do not get it all covered completely, it is okay, but it does tend to make the cake mix a little powdery on the top. But it still tastes good. 2- You can use real whipped cream with a little sugar and vanilla in it to add to the top if you do not want to use ice cream, but let the cake cool down or it will turn the cream into something that looks like warm milk. 3- Whipped topping is also another topping you can use, and don’t forget the caramel or butterscotch topping. 4- Chopped pecans also make it look a little nicer if you want to have it for a special occasion. 5- Store the leftovers in the refrigerator for up to 3 – 4 days. 6- If you are not big on making pumpkin pie, try pumpkin pie cake! 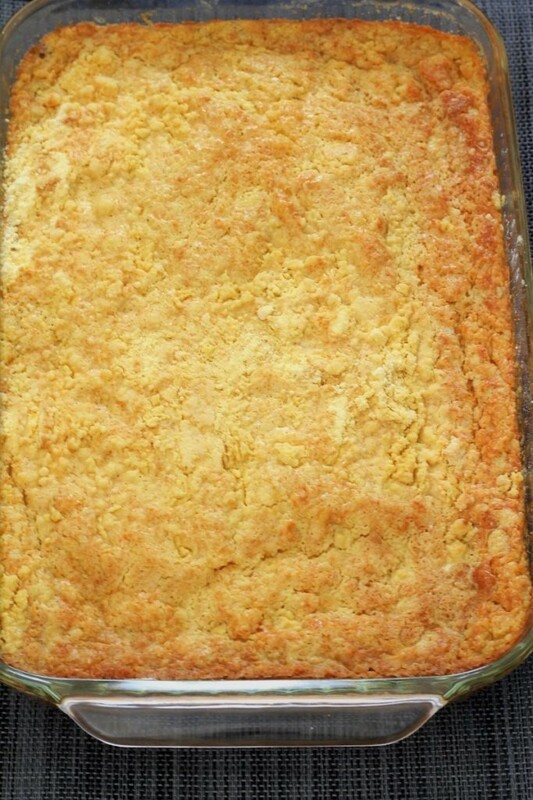 Preheat the oven to 350 degrees, and grease or spray the bottom of a 9" x 13" baking pan. 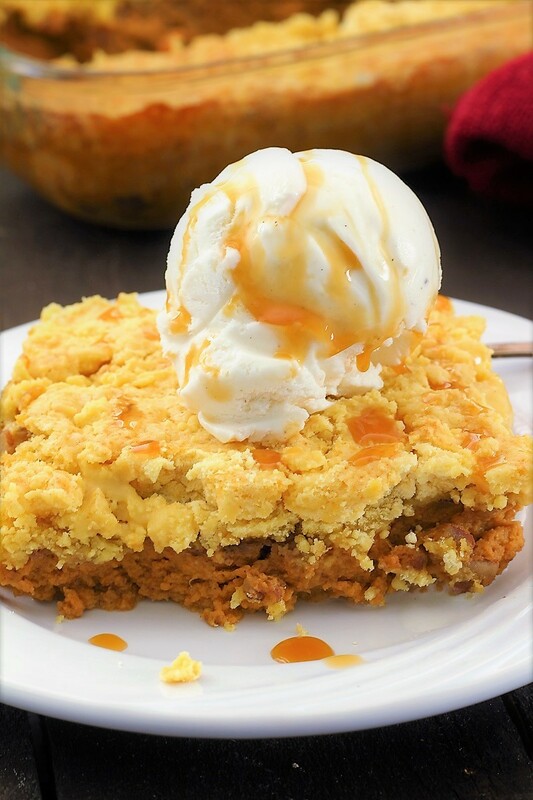 In a large mixing bowl, whisk together the pumpkin, sweetened condensed milk, brown sugar, eggs, vanilla, pumpkin pie spice, cinnamon, and salt. Spread evenly in the bottom of the pan. Sprinkle nuts on top of the pumpkin mixture. Then sprinkle the dry cake mix evenly over the nuts. In the microwave, or on top of the stove, melt the butter, then add the milk. Drizzle the melted butter and milk mixture over the dry cake mix, do your best to cover as much of the dry cake as possible. Bake the cake for 45 - 55 minutes until the cake starts to turn golden brown. Cool slightly, if using ice cream; If using cream you will want it to be just a little warm. Drizzle caramel sauce on top if desired. Cover and store any left overs in the refrigerator for 3-4 days. That sounds wonderful Amy! I love pumpkin, but not necessarily in pie. I’ll let you know how it turns out. This looks so good!! I can’t wait to try this recipe!!! Thank you for coming by and leaving a comment. This cake is really good. Interesting story and what a lovely cake you have baked! I want a big slice.. Thank you. We do like this cake. Thank you for coming by and leaving a comment. Sounds so yummy!! I love to mix it up with something different than plain ol’ pumpkin pie!! Mmm. My mother use to make this. She never made homemade pie. We really liked it when she made it and we still like it. This looks seriously scrumptious! Thanks for sharing on Friday Frenzy! Thank you for coming by and commenting. The cake really is a good one.